Shane Dent is respected as an industry award winner in the marketing of Greater Fraser Valley's most premium and luxury real estate. There are many qualities and skills that go into being an excellent real estate professional - integrity, in-depth community and market knowledge, savvy marketing, effective negotiation skills and a high-quality professional network. These attributes are what has kept my business thriving for the past 23 years. 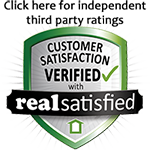 That said, in my 23 year experience as a White Rock/South Surrey real estate professional, providing the very best service is ultimately about putting my clients first. This approach allows to achieve the best results and undoubtedly builds a long-lasting business relationship.